This week’s reflection is written by Steve Plenert, peace program coordinator for MCC Manitoba. The United Nations High Commission on Refugees says that there are over 50 million refugees around the world currently. That is considerably more than the entire population of Canada. In Lebanon 1 out of every 5 people in the country is a Syrian refugee. There are huge needs within the refugee community there, but there is also significant tension and resentment among the host people too. Their services are overmatched, their jobs are threatened, their patience and compassion are being stretched beyond capacity at times. Boatloads of people cross the Mediterranean everyday, full of people fleeing violence in a number of Northern African countries.There is considerable political pressure to not do too much to help these people. There are many other contexts, all equally complex and potentially devastating. Lord Jesus Christ, we remember that in your infancy you were a refugee. The political leaders of your country sought to end your life as an infant. Your parents took you to another country in secret. We don’t know, dear Lord, how long you had to stay there. Help us, O Lord, to grow in compassion for those who are displaced from their homes in our day. Help us not to see them only as problems, statistics or threats. Help us to see refugees as fellow humans who have been forced to flee their homes. O God, we know refugees and displaced persons must make excruciating decisions, and we ask for your mercy upon them. We ask for mercy for parents who take children from their homes. Mercy for children who leave parents too weak to travel. Mercy for those who choose to stay for whatever reasons and who live with severe consequences for those choices. We ask for mercy for those whose housing is inadequate – cold in winter, hot in summer, insufficient for privacy or hygiene or satisfaction. Have mercy on your children who have left their homes, O Lord. O God, we know – sometimes too well – the causes of displacement and migration. We pray for the situations that have led to the refugee crises in our world. We pray for those who promote extremist ideologies, that they would change their ways and not choose violence. We pray for repressive regimes, that they would seek to engage people in building freedom. We pray for human smugglers and traffickers who prey upon those who have fled their homes, that they may stop victimizing the fearful and vulnerable. 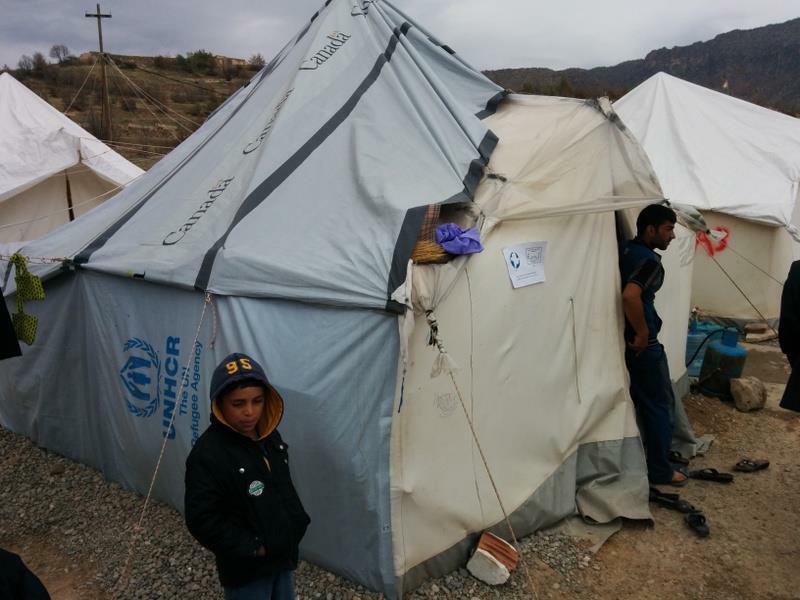 Help us O Lord, to be compassionate and to know how we can help those who have been displaced. Help us to know when it is time for humanitarian relief, when it is time for resettlement, and when advocacy for peace and change is what is needed most. Give us courage and strength to be people of compassion and justice in the face of complex and overwhelming demands. We know that you love all people, dear Lord. Help us to be the instruments of your love and peace in the world. Amen. This entry was posted in Engagement, Peacebuilding, Relief and development and tagged advocacy, Africa, displaced persons, Lebanon, Mediterranean, refugees, relief, resettlement, Syria, UNHCR by Esther Epp-Tiessen @ MCC Ottawa Office. Bookmark the permalink. This is also my prayer, Steve. May God hear the cries of those who live under emotional, physical, and mental stresses that we in Canada can only imagine. And may God continue to bless you as you work for peace in His name.